The Magna Science Adventure Centre in Rotherham has been awarded a £74,800 grant to create an exhibition charting the history of the site from Roman times through to the present day. The money, from the Heritage Lottery Fund, will pay for the conversion of the Steelos Gallery, near the entrance of the visitor attraction, to create a new display telling the story of the former Templeborough steelworks site. There will be a section devoted to World War One, when the main steelworks was constructed to produce steel for armaments. Staff and volunteers at Magna will be teaming up with the faculty of arts and humanities at the University of Sheffield to research the steelworks' role in the war. Stuart Ballard, education manager at Magna (pictured), said: "It's great to have received this grant from the Heritage Lottery Fund, which will help create an exciting and interactive introduction to the site’s history for both schools and families. "We know already that there are plenty of fascinating stories to tell and we would love to find out more. So we are keen to hear from anyone who thinks they may have family who worked at the plant, particularly during the First World War. 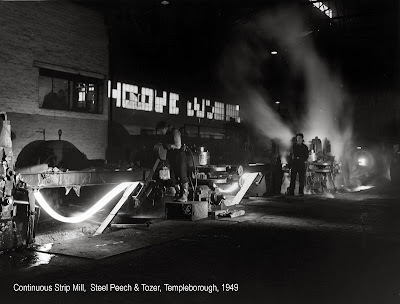 "Fiona Spiers, Head of Heritage Lottery Fund, Yorkshire and the Humber, added: "This project will really bring to life the heritage of Templeborough Steelworks, enabling volunteers to learn new skills and uncover the major contribution Templeborough made during the First World War. HLF is dedicated to supporting projects that open up our heritage for locals and visitors to get involved and learn about their past." The shortage of steel to make shells during the First World War led to the construction of the Templeborough Steelworks that was completed in 1916. The works had 11 open-hearth furnaces, and three more were added later. Templeborough's 14 chimneys became known as the "Fourteen Sisters," a famous Rotherham landmark. The works became known as "Steelos" after the owners Steel, Peech and Tozer. It was the largest open-hearth melting shop in Europe and being so vast, it stretched for a mile on both sides of the road. Navigation was by landmarks and the steelmaking process started at the "Sheffield End" and the finishing took place at the "Rotherham End." At its peak, the works employed 10,000 people and during the Second World War Steelos produced almost four million tons of ingots. Electric Arc Furnaces were introduced in the early 1960s to replace the open-hearth furnaces that were both lower in efficiency and productivity. At one time the steelworks produced almost 25% of the UK's electrically melted steel and was the world's largest steel plant producing up to 18 million tonnes of steel a year. No longer as labour intensive and increasingly computerised, the number of employees at the steelworks dramatically dropped. In 1993 due to a poor market, and high raw material and power costs, the works ceased production. In 2001 Magna opened as the UK's first science adventure centre, a Millenium Project set in the former steelworks.